February 14, 2018, Taipei –Advantech, a global leader in embedded computing and IoT solutions, is pleased to announce the release of two new M2.COM IoT WLAN sensor nodes—BLE/WiFi Combo WISE-1530 and SmartMesh WISE-1540 with integrated ARM Cortex-M4 processor. These two sensor nodes are able to provide multi-interfaces for sensing and I/O control such as UART, I2C, SPI, GPIO, PWM, and ADC. With WLAN and time-synchronized SmartMesh features, WISE-1530 and WISE-1540 sensor nodes are ideal for Industry 4.0 and smart building applications such as warehouse management, machine diagnostics, factory automation, and environmental monitoring. 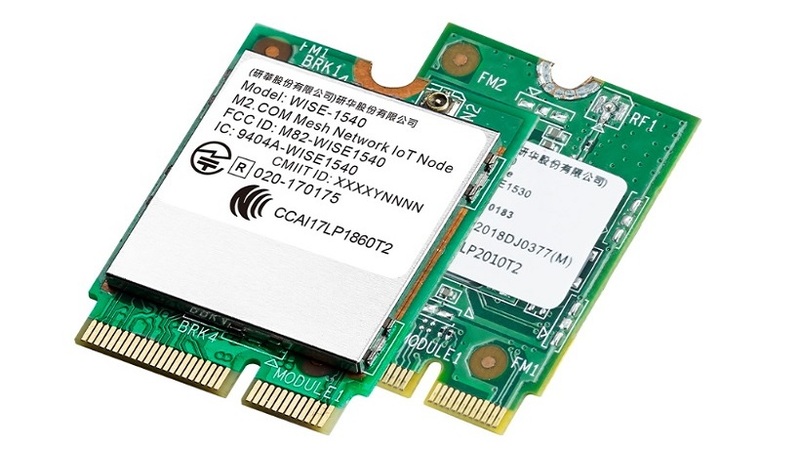 WISE-1530 is a wireless module integrated with an ARM Cortex-M4 processor and Wifi/ BLE connectivity, and provides multi-interfaces for sensor and I/O control. With Wifi/ BLE connectivity, WISE-1530 allows customers using Bluetooth Low Energy (BLE) to configure devices and transfer mass data through WiFi connectivity, or choose the WiFi or BLE to submit sensor data according to their needs such as for short range applications with low power consumption or high data rate applications designed to complete specific tasks. Moreover, WISE-1530 is designed with low data rate requirements so it can achieve years of battery life in short range communication. With operating system and add-on software stacks built-in, WISE-1530 makes it easier to build your application software with sensor algorithms. Data can be quickly and easily acquired and transformed into different formats to communicate with Advantech’s WISE-PaaS or other cloud services. WISE-1540 Mesh nodes can be synchronized in less than a millisecond. Time in the network is organized into time slots, which enables collision-free packet exchange and per-transmission time allotted channel-hopping (TSCH) link layer. All WISE-1540 nodes within SmartMesh networks could route, source or terminate data while providing years of battery powered operation. SmartMesh can deliver in a highly reliable network under the most challenging RF environments. Every device has one or more parents which provide redundant paths to overcome communications interruption due to interference, physical obstruction, or multi-path fading. If a packet transmission fails on one path, the next re-transmission will try on a different path and different RF channel. Developers can be easily to extend the network coverage via SmartMesh. With ARM mbed embedded microprocessor operating system and add-on software stacks, WISE-1540 supports several IoT communication protocols including LWM2M, CoAP, and MQTT via Advantech WISE-3310 Mesh IoT Gateway. Data can be quickly and easily acquired and transformed into a different format to communicate with WISE-PaaS, Mbed Cloud or other cloud services. Developers can build their application backbone faster and focus on their applications, and value-added services. 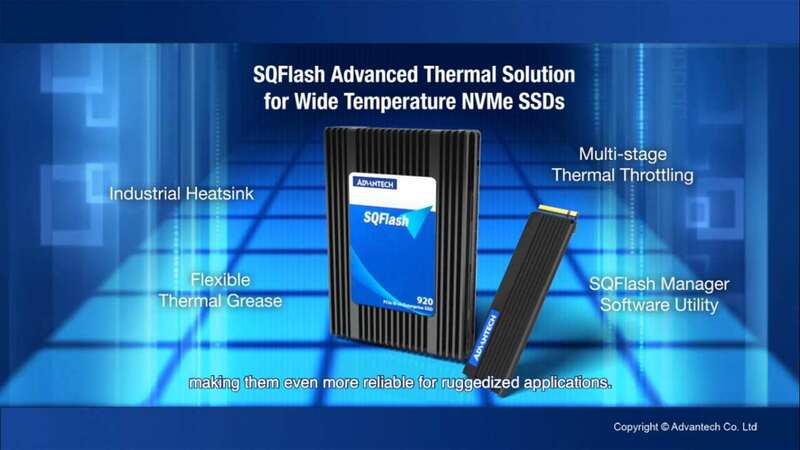 Advantech sensor node series also provides a development kit for customers to evaluate their design at the proof-of-concept stage. 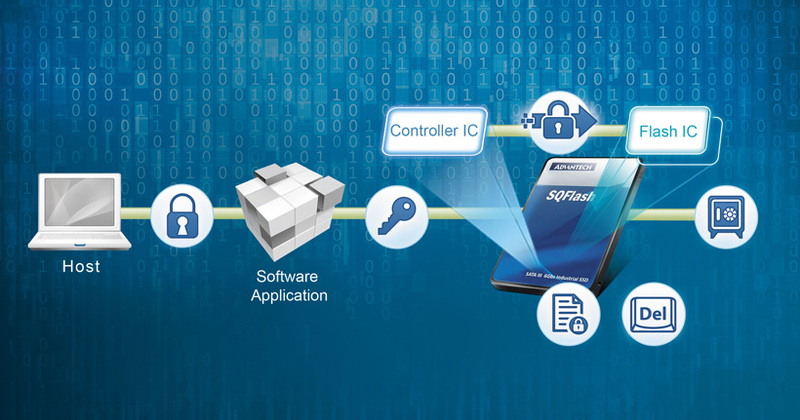 With Advantech wireless design-in service, customers can easily develop IoT applications. The design-in service will assist you from concept to integration phases including design guidelines, RF & antenna optimization, system performance tuning, application customization, and wireless certification. For more information regarding WISE-1530 BLT/WiFi sensor node and WISE-1540 SmartMesh sensor node, please contact your local sales person or visit the Advantech website (www.advantech.com) for more details.